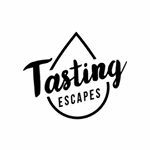 Tasting Escapes is your booking platform for unique beer, wine & spirit tastings, tours, and activities all over the world. Our mission is to bring people, travelers, and local quality experts together in high-quality tasting activities and share their experiences with other users. At Tasting Escapes, we pride ourselves on creating a trusted community that has a wide range of reviews, safe payment processes proving an ideal platform for booking your tasting activities with confidence. Our team comprises of well-experienced individuals, who are passionate beer, wine & spirit tastings. We have taken the trouble out of searching online for a tasting experience and have come up with handpicked listings to suit every taste. We are dedicated to providing the highest quality, best value and safest bookings and trips possible. In addition, we are committed to creating unforgettable experiences for our clients. We understand the power of having an amazing experience that brings you a sense of fulfillment, friendships, pleasure, and a complete escape from everyday hustle and bustle. Whether you are looking for craft cocktails, or boutique spirits, or the latest beer trends our expertly led tastings, refined food and drink pairings, hands-on workshops are unparallel. By mixing entertainment with education, Tasting Escapes ensures memorable experiences!